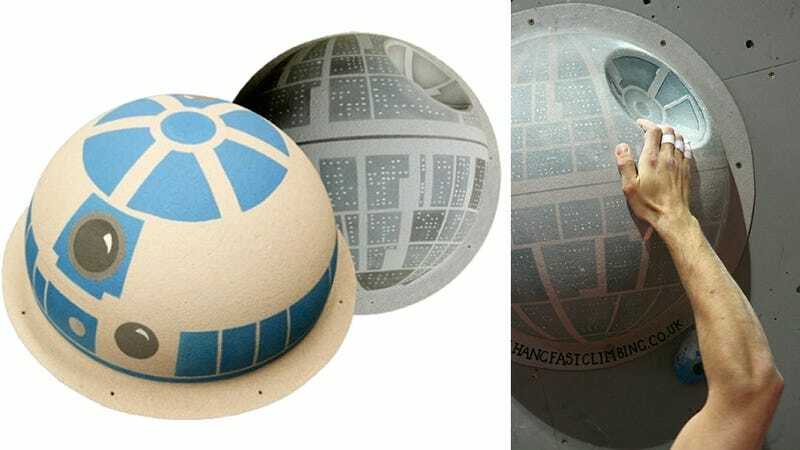 Created by Hang Fast Adventure Structures, you can get these mountable, sturdy, fiberglass domes painted and shaped to look like R2-D2's noggin, or the Death Star complete with its superlaser indent. There's a even a hold that's loosely shaped like the Millennium Falcon—very loosely—and depending on the size and complexity they'll each set you back somewhere in the neighborhood of $63 to $243. Just be careful when climbing with them since neither include the force to catch you should you lose your footing or handhold.